Dave began learning Keyboards while singing as the head chorister in the local church choir, then at 13 with some school friends formed a band and together they learnt to play guitar. He joined a band and starting playing around the local scene in Hull. After then joining HM Forces at the age 18 relocating to West Germany he thought his performing days where over. Meeting up with a few likeminded friends they then formed a “Function Band” playing at military social events. After leaving HM forces Dave stayed on the continent for a further 11 years and played mainly Keyboards/Guitar Vocals and Harmonies in a German Function Band, extensively touring the whole of Europe. On returning to U.K. in 1990 he set about forming a male/female duo “Sophistication” this also included a Carpenters tribute show called ”Close to You”. They became very successful and included stints with P & O Cruises, seasons in South Africa, summer seasons for Butlins and Haven, major brewery contracts as well as touring throughout the U.K. & Ireland. 2007 and Dave decided he wanted to pursue a solo career, so from January 2008 he has worked as a Solo Keyboard/Guitar/Vocalist. 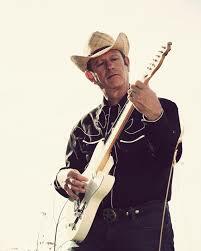 Always having been a big fan of Country music from the likes of Johnny Cash, Waylon Jennings and Glen Campbell to modern Country artistes such as Toby Keith, Alan Jackson and Blake Shelton which he include in his cabaret shows. The decision to working this direction was an easy choice. On the country scene now for about six and a half years, travelling to the North East ,North West, Lincolnshire, Norfolk, Suffolk, Cambridgeshire Derbyshire Nottingham Yorkshire he now ventures further afield covering South and in to Wales. He continues to get a very good response and good reviews. Recently showcased at the Lakeside Country Club in Surrey his career goes forward and his fan base grows day by day.